New Delhi: Over 17,000 corneal transplant surgeries have been conducted at the AIIMS till date, out of which 1,285 were done last year, Chairman of the National Eye Bank Jeewan S Titiyal said. He was addressing a press conference at the Dr Rajendra Prasad Centre for Ophthalmic Sciences at the All India Institute of Medical Sciences here, to mark the foundation day of the centre. The eye bank is situated in the over 50-year-old centre is housed in the AIIMS campus, and various programmes have been lined up to commemorate the occasion. 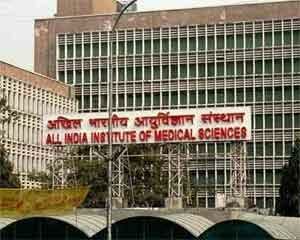 “We (AIIMS) have conducted 17,000-18,000 corneal transplant surgeries till date. Last year, we had corneas from 1,844 donors, out of which 1,285 were used for surgeries,” Titiyal said. The senior doctor said about 27,000 corneas were collected altogether but not all are used for various reasons. “After an eye is donated, only then we go for testing. And, if it found to be unhealthy or carrying infection, then we dont use it,” he added. The press conference was also addressed by the centres Chief and Professor of Ophthalmology Atul Kumar, and various other senior doctors of the centre. “We first train our young doctors on goats eyes and then they perform simple surgeries in the presence of senior doctors before they graduate to a level of expertise,” Kumar said. A senior doctor spoke about the vision centres set up in Delhi and neighbouring cities, where doctors from AIIMS go and conduct examinations of eye patients. “There were 15 such centres two years ago, and now we have about 25 of them. We tie up with local dispensaries and keep our set up there, and doctors from AIIMS pay regular visit, so patients need not come to the AIIMS,” he said. On the National Blindness Survey (2015-2018), the senior doctor said, “27 of the 30 districts have been covered. 3,000 people are being sampled per district. It is expected to be completed by June. By the end of which, we will get to know the level of partial blindness and blindness in the country.